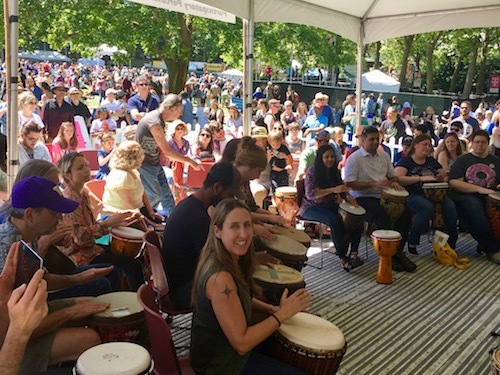 Everyone is welcome to come drum at the Rhythm Tent at Seattle’s fabulous Northwest Folklife Festival, Memorial Day weekend at Seattle Center. Join in hourly drum circles and drumming workshops led by a variety of facilitators and teachers. I will be on the host team, and will facilitate a couple of circles.